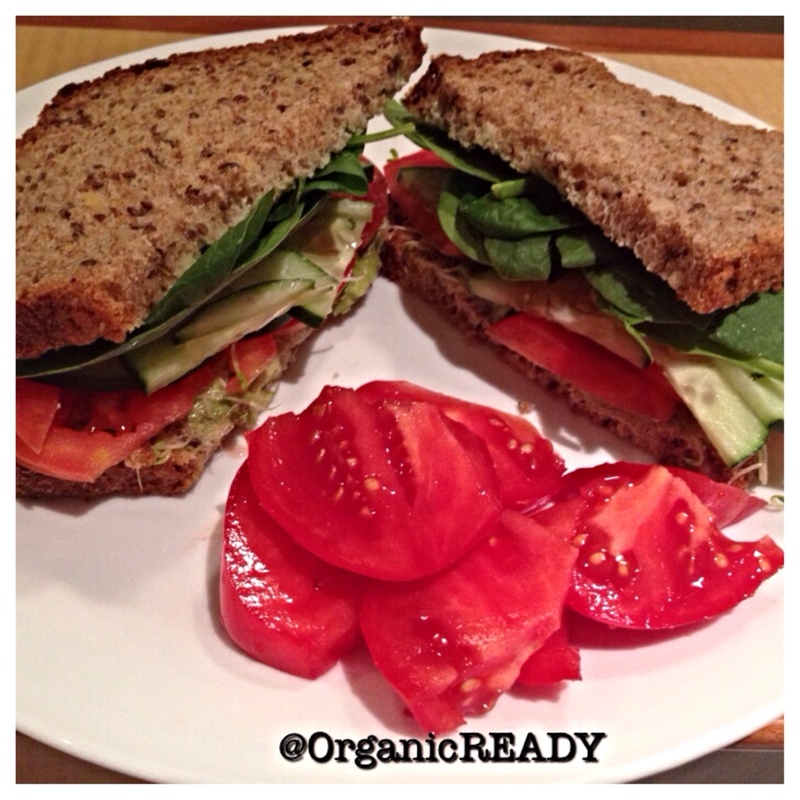 A simple vegan sandwich with fresh garden tomatoes on the side. It has baby spinach, sliced tomatoes, cucumbers, avocado, and sprouts with lite French mustard on my favorite 7-grain bread. This is super easy, all vegan, and delicious. You can customize your vegetable sandwich with whatever you desire.